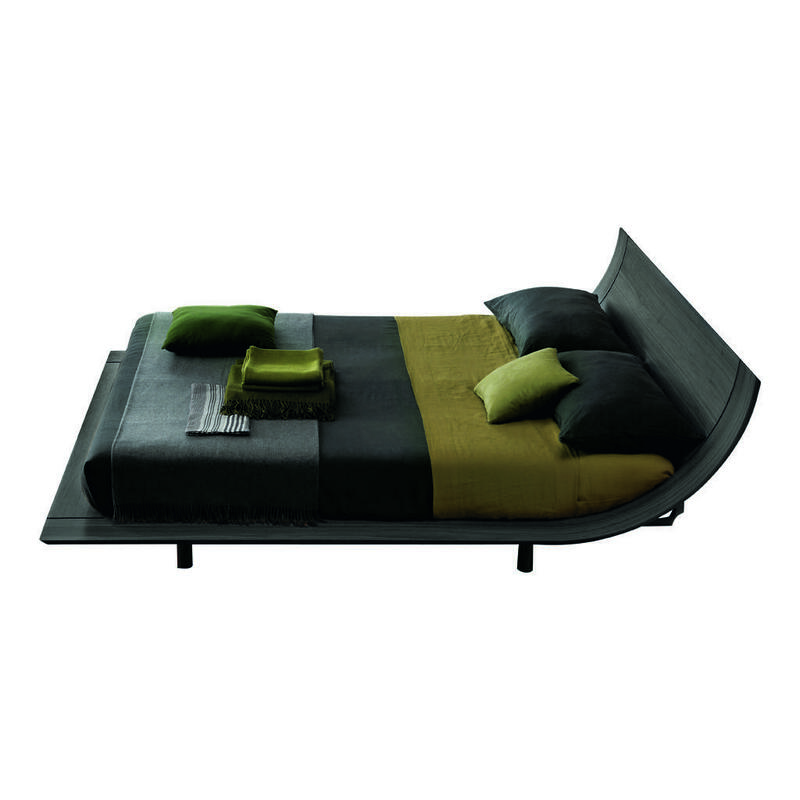 Aqua bed by Presotto Italia features a minimal design that makes it look like feather light and meets the requirements of a contemporary minimal home deco. Hard strict lines that lighten up when curved. 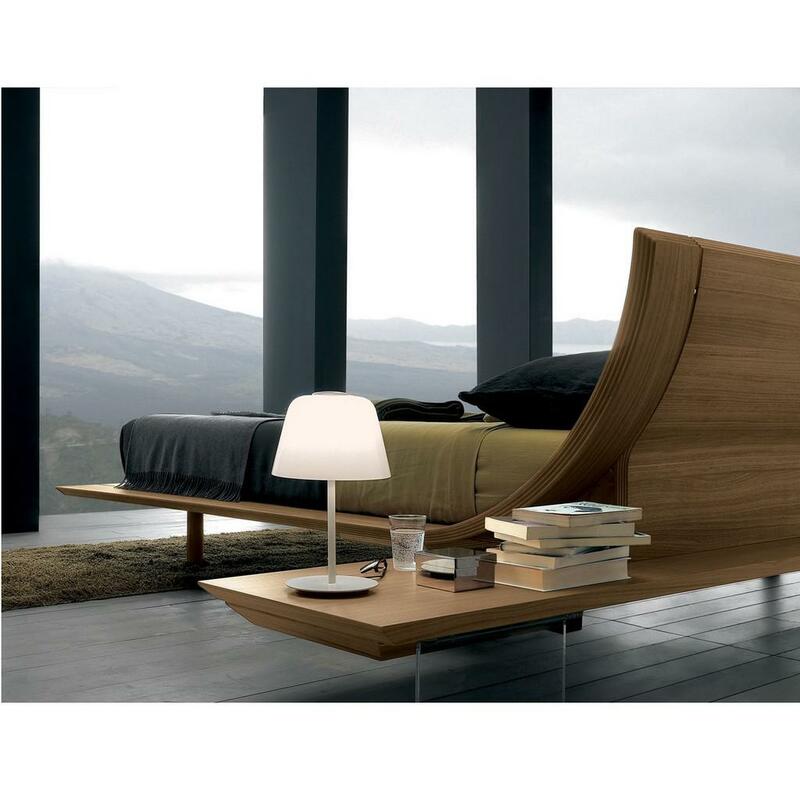 The headboard of the Aqua bed is made of curved multi-plywood, just like the rest of the bed. 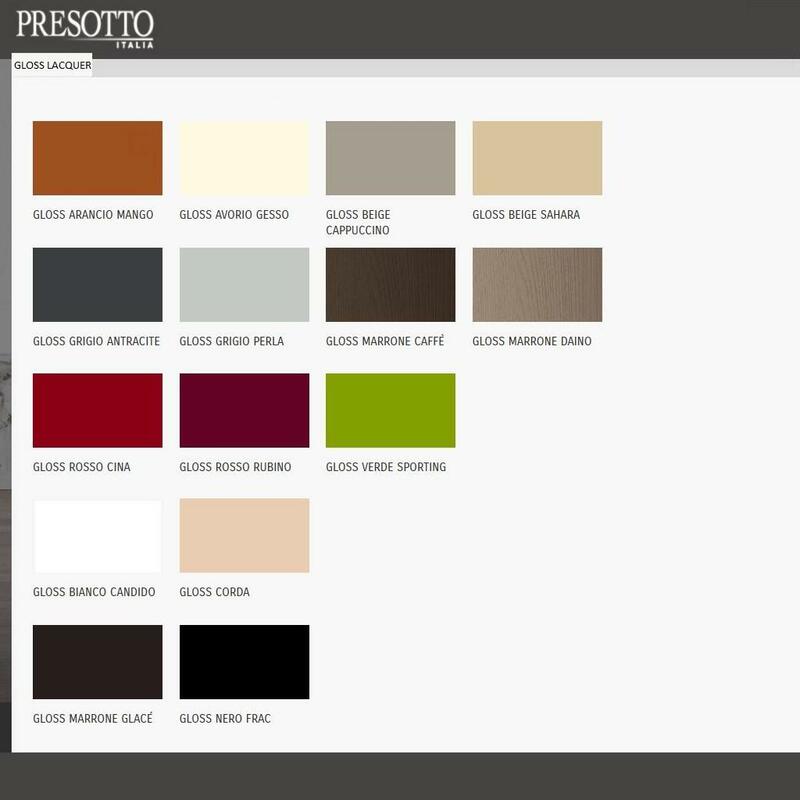 It is available in mat lacquer finish (32 colors), grey oak, walnut, color wood (in 11 colors) and white gloss lacquered finish - Gloss Bianco Candido (other 13 gloss colors available with surcharge). 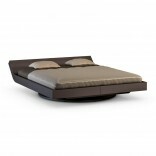 Aqua bed can be upholstered in genuine of technoleather. Contact us for details. Aqua bed also comes with matching floating nightstands (optional) and its supporting rear methacrylic panel. 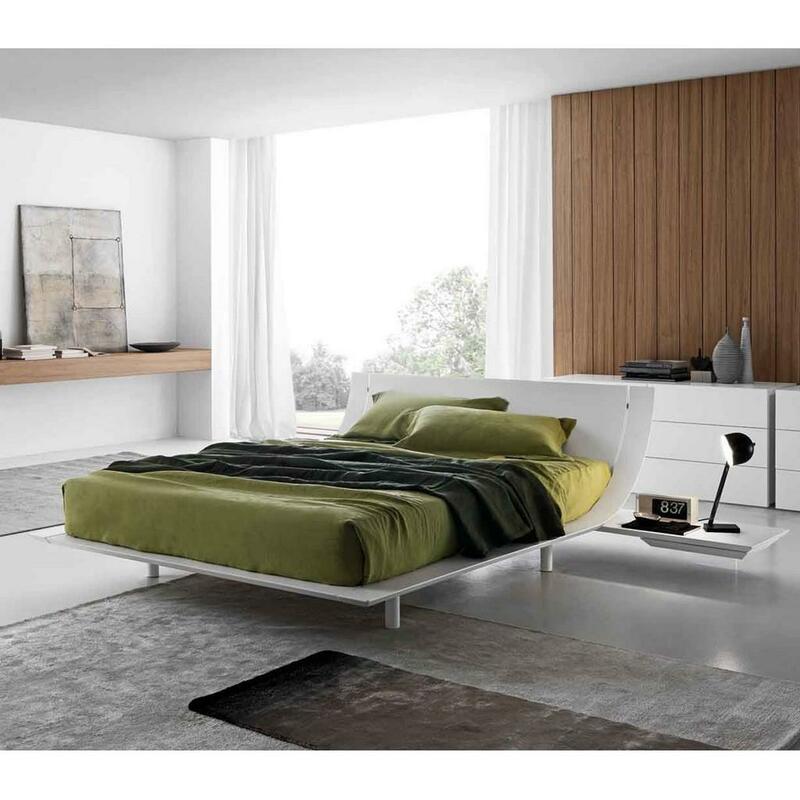 The nightstand is made of matching material as the rest of the bed and can be placed in three different lengths (adjustable). 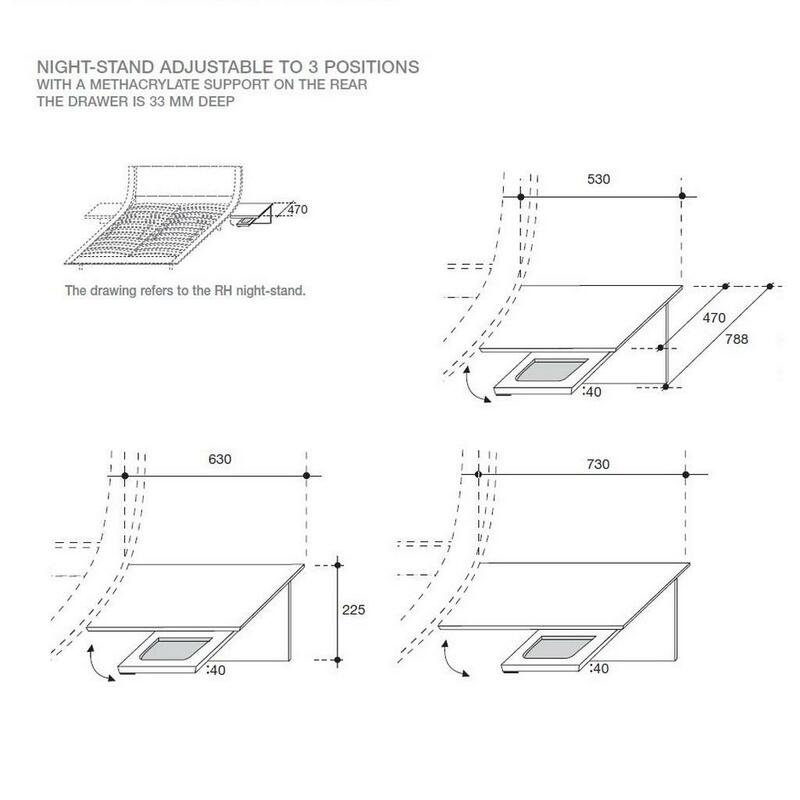 You can choose a nightstand on the right (RH) on the left (LH) or both. 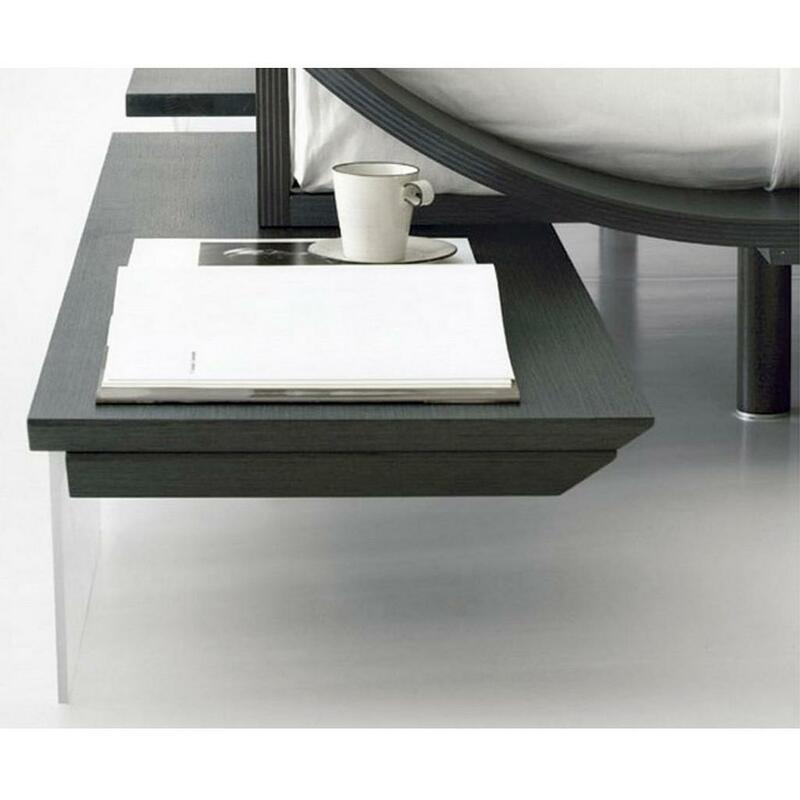 Aqua bed’s hanging nightstand features a slim drawer of 33 mm depth that swivels. 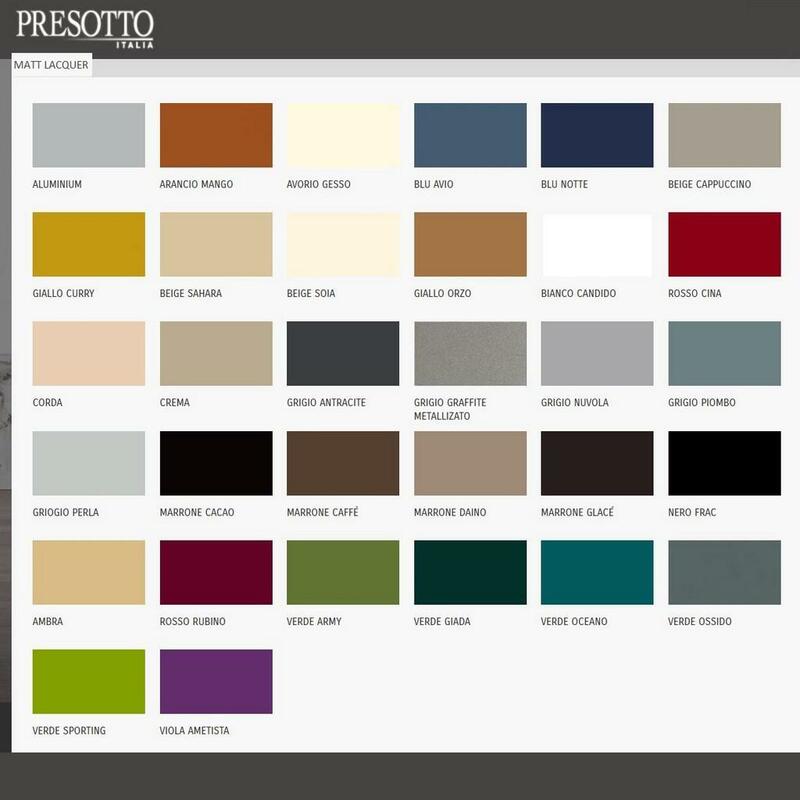 Its interior part is finished in matt lacquer of a matching color with the exterior, or in grey anthracite matt lacquer for exterior finishing in grey oak or walnut. The base has four feet (height 227 mm.) made of wood, in the same finishing as the rest of the bed. Optional, you have the choice to choose the lower part feet with clear methacrylate panel that features lighting. The kit of LED lights are optional and supplied by request. Note the difference in price for the LED lighting panel due to different width. 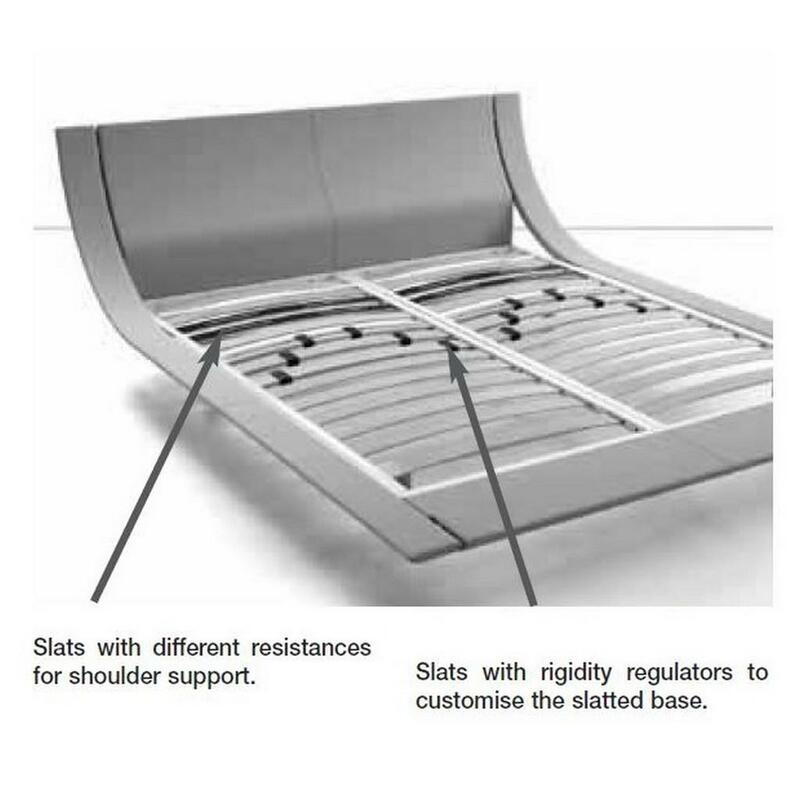 Aqua bed comes with an integrated self-bearing slatted base with beech slats: 6 slats have rigidity regulators and 4 slats have different resistances for shoulder support. 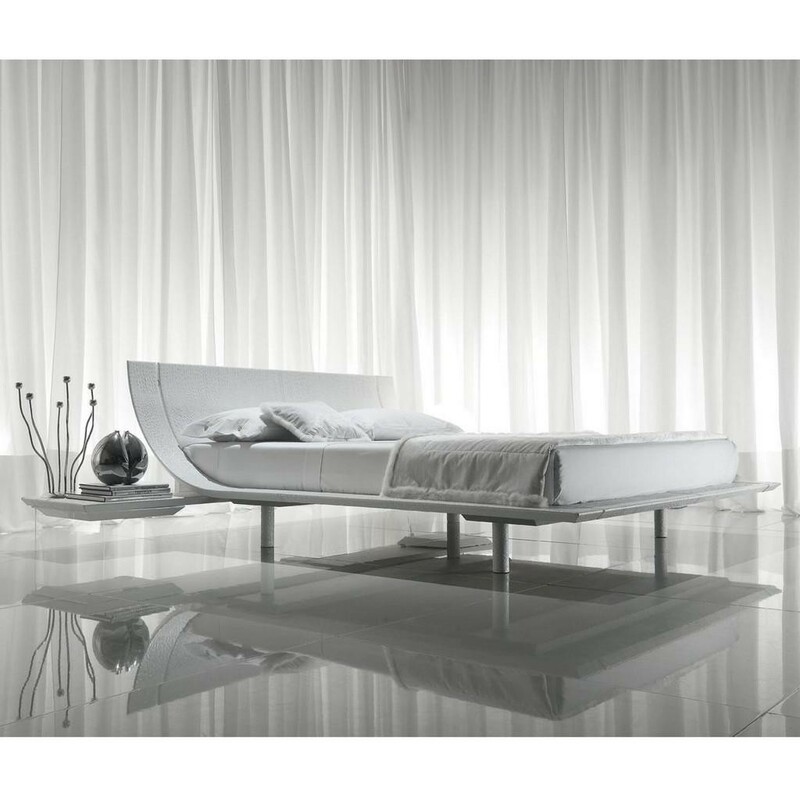 Plana bed is available in two (interior) widths W 1610 and W 1810. Please pay attention to the difference between interior and exterior dimensions to make sure which fits best to your space. 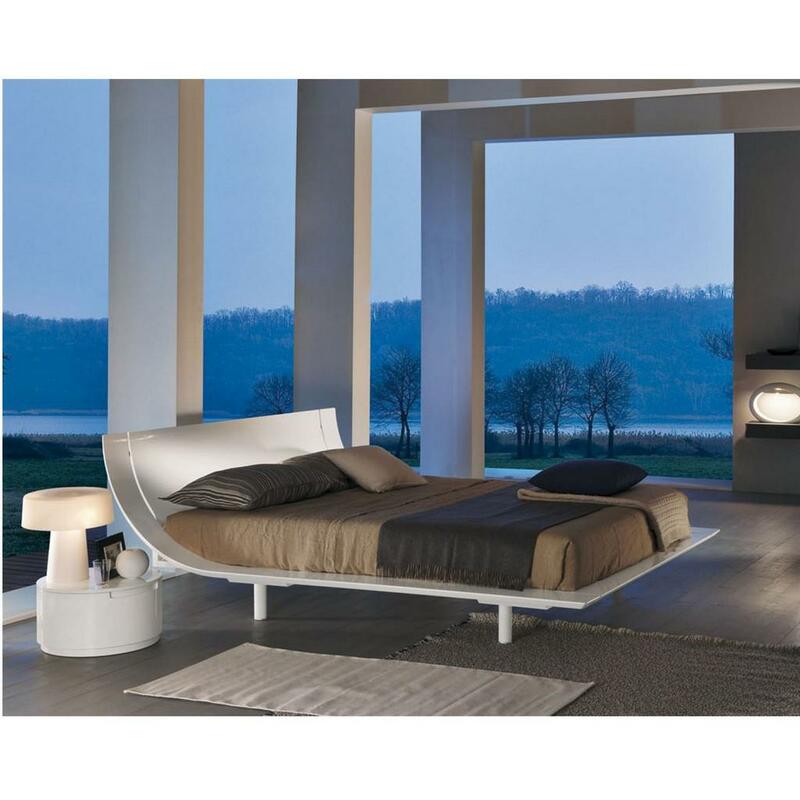 Material: case, headboard and nightstand: curved multi-plywood, wooden feet, optional supporting panel (rear nightstand support, base): clear methacrylate panel. 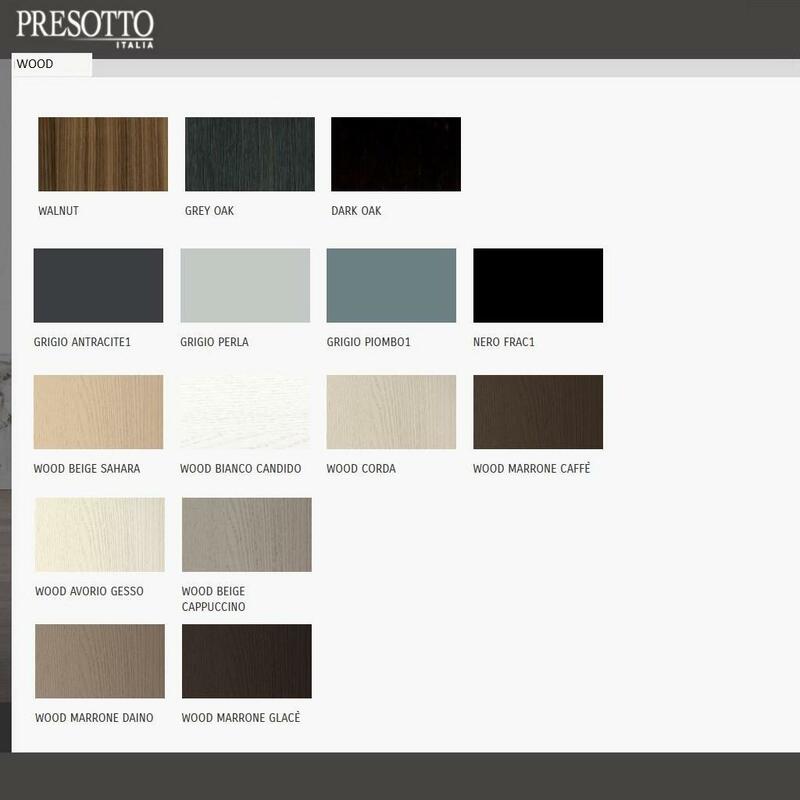 Colors: Matt lacquer (choose from 32 colors), grey oak, walnut, color wood (choose from 13 colors), white gloss lacquer- gloss bianco candido (choose form other 13 gloss color with surcharge. Interior Dimensions: Width: 1610 mm x Length: 2010 mm. Exterior Dimensions: Width: 1870 mm x Length: 2295 mm. Interior Dimensions: Width: 1810 mm x Length: 2010 mm. Exterior Dimensions: Width: 2070 mm x Length: 2010 mm. 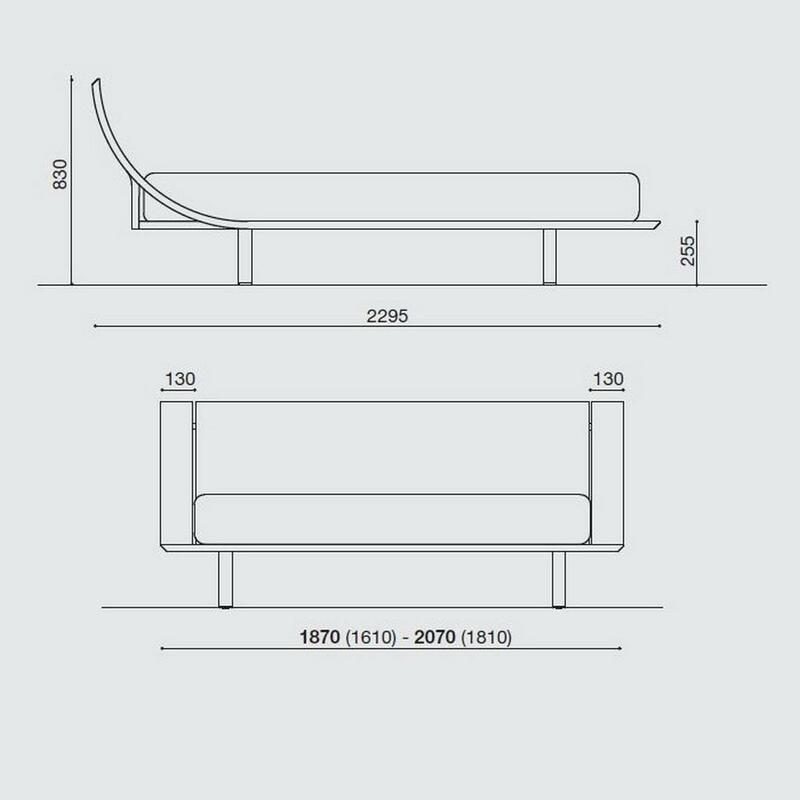 Overall height: Headboard 830 mm, case 255 mm, feet 227 mm. 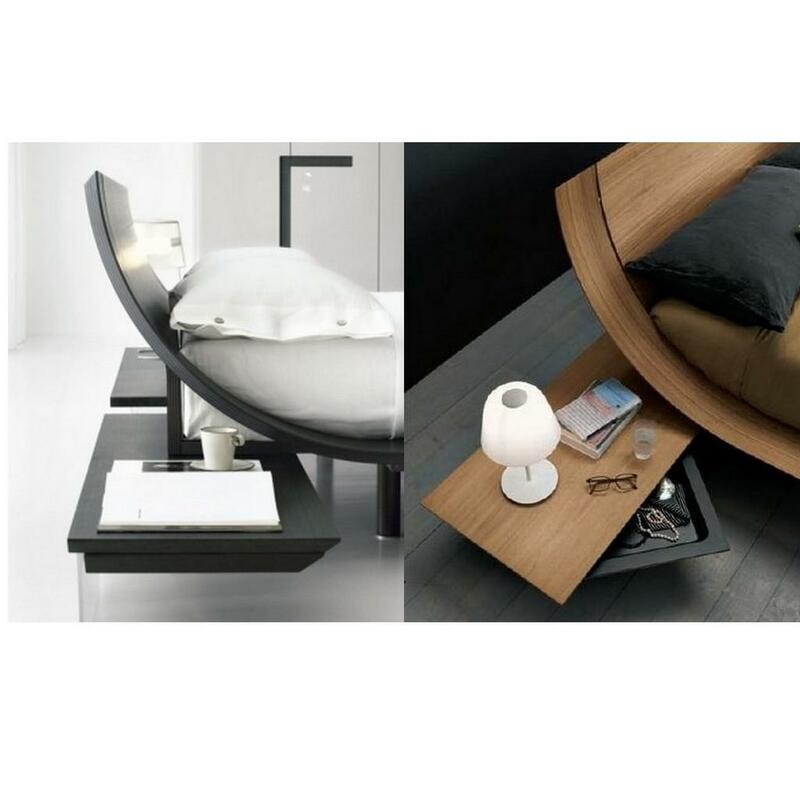 Nightstand: Length: 530/630/730 mm (adjustable). 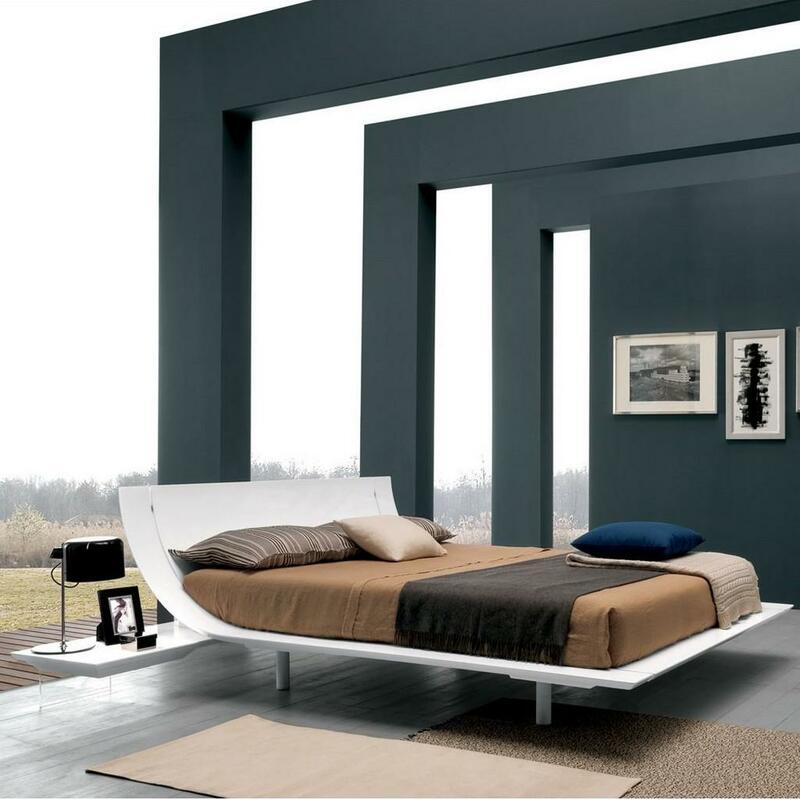 Width: 470 mm/ 788 mm (open drawer) , height 225 mm. Note the difference in price for the LED light kit caused by difference in bed width. Upholstered versions available. Please contact us for details.